Why it matters: We continue to see AMD develop competitive solutions across all computing segments. AMD is continually cracking and chipping away at Intel's server market dominance, and Digitimes forecast that by the end of 2020 Intel's market share will dip below 90 percent. That's quite a feat for AMD, who just a few years ago during their Bulldozer era was in the red. AMD's return to competitiveness has been nothing short of impressive. The company seemingly laid dormant for a number of years, while market incumbent Intel reigned nearly uncontested. With Ryzen, AMD has been disrupting the status quo in the consumer desktop space for some time now. AMD has been slowly chipping away at Intel's market share in the server space, too, albeit at a much slower pace. The server market is a challenging one to penetrate, especially for a player such as AMD, who has largely been absent from the segment in recent years. Server and enterprise players are hesitant in adopting new hardware, preferring to see product maturity and longevity, as well as a sustainable product roadmap. Slowly though, more vendors have invested in AMD's Epyc platform. Digitimes predicts AMD's slow burn in the server market will force Intel's market share below 90 percent in 2020. Citing unnamed market sources, Digitimes says the "Epyc series continues to attract more orders from server vendors and cloud service providers." Illustrating this point is Japan's NTT Data, who recently disclosed it would be acquiring datacenter servers equipped with Epyc CPUs. Epyc does exactly what Ryzen and Threadripper do in the mainstream desktop space: bring an aggressive price to performance ratio. 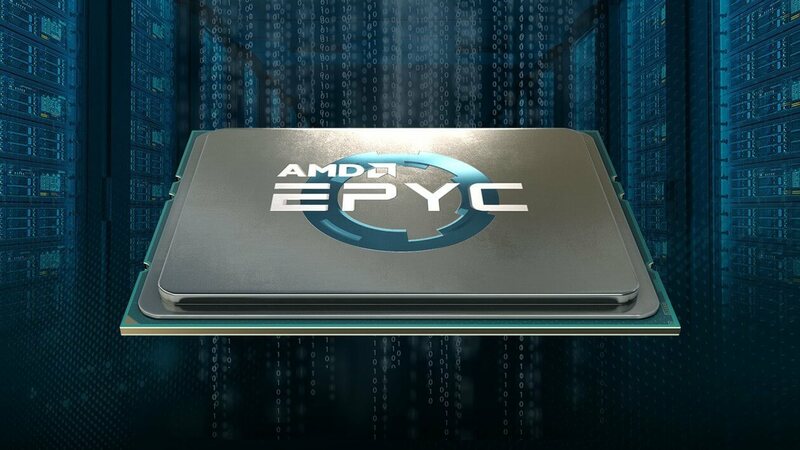 Epyc also delivers impressive single socket performance and a simplified platform in terms of memory, I/O, etc. compared to Intel's notorious price and market segmentation. A 7nm shrink is coming for Epyc, too. Recently an AMD Epyc Rome sample was spotted in the wild -- a monster sporting 64 cores and 128 threads. That said, Epyc is riding a wave that doesn't appear to be destined to crest anytime soon. And that wave could certainly transform the server landscape between now, 2020 and beyond.